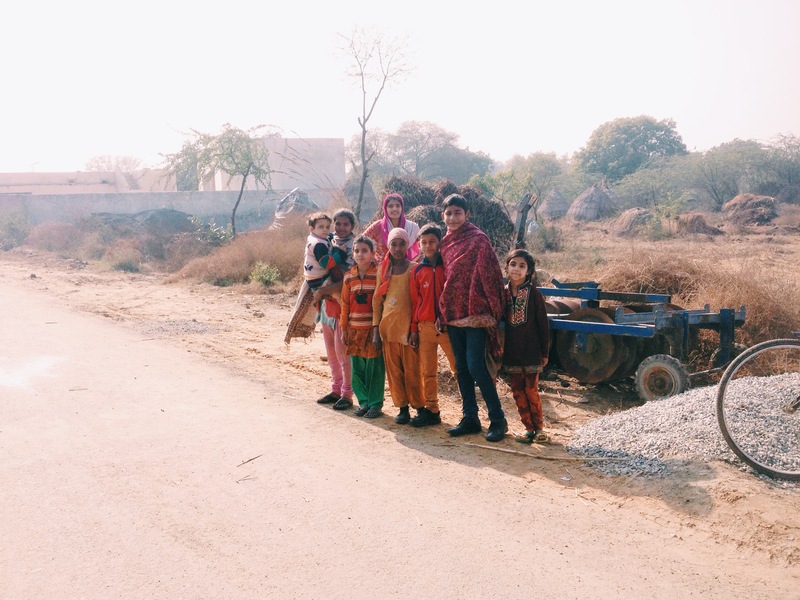 After a full, who knows how many hours long, day I was exhausted and slept almost the entire way from New Delhi to Sisana in the neighbouring state of Haryana. I was anticipating a long drive, there were rumours abound that it was a six hour round trip but I feel this was either a ridiculous exaggeration or accounting for exceptionally heavy traffic. I missed most of what might have been seen from the car on our drive, but Elena informed that I’d probably made better use of my time as what she’d seen hadn’t been especially inspiring. 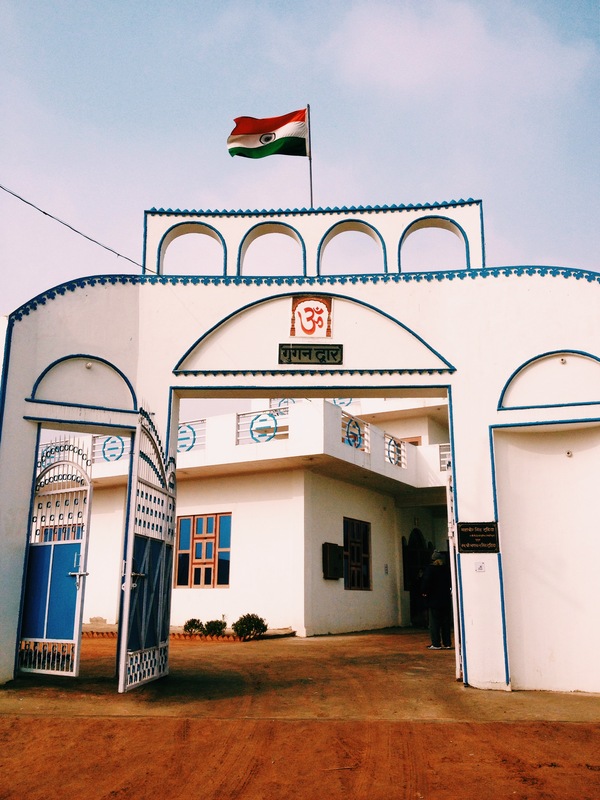 I remember tumbling out of the car, the thick scent of cow rushing up my unsuspecting nostrils where it would remain for weeks, before stumbling into Jagdeep’s house to meet his parents. I hugged both his mother and father as they welcomed us all into their home before quickly falling back into the car to drive a couple of hundred meters back down the road to set up our place of residence for the duration of the wedding. The cold air had given me enough of a wake up to be functioning fully as we got out of the cars once more. A huge white house stood before us. The housekeeper went around checking everything, No power. No water. It was the first real indication for most of us as to just how different this trip was going to be compared to our normal lives. The infrastructure in these parts is not up to much, power outages are regular. A lot of houses have their own backup generators, I’m not even sure if these work half the time. A rough explanation suggested that without power, the water wasn’t being drawn through the pipes which was why nothing was working. Everything, we were told, would be fine in the morning. It wasn’t unlike a Scout camp. 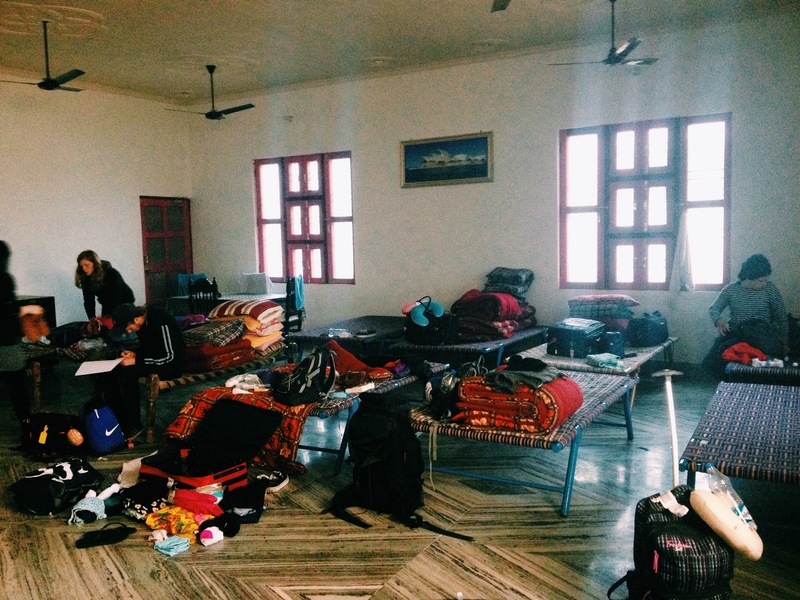 A large, empty, cold hall, half-filled with beds and blankets, backpacks littering the floor. You could almost believe that we would have sat up all night chatting, laughing and joking while constantly being reprimanded by adults. It was not to be, we were the adults. Sleep took each of us early. It seemed I was not the only one suffering from a lack of rest. It was set to be a regularly interrupted night. The number one cause for me was a rather fantastic alarm clock. Was it an awful rendition of Twinkle Twinkle Little Star that blared out every two hours? Red lights flashed across the hall, I suspect at least half of us were woken up for each alarm. Fortunately, we’d make enough noise about how awful it was that it would be removed. At some stage during the small hours, the power returned bringing with it the water. All of the tested taps that had been left open burst into life, toilets flushed and continued to fill. We had been locked in for the night, a constant banging at the door followed the incoming power supply. The housekeeper insisted that he needed to make sure everything was working right there and then, off he went around the house shutting off all the open taps, checking the toilets until he was assured everything was good. I don’t know what time it was but it didn’t feel especially late. We were, however, bought to life with fresh chai. Sweet, spicy, milky tea. Whether or not there was any actual tea in it I don’t know but it was heaps better than any of the imitations from home. After the rough night, it was a more than welcome treat. As everyone bordered on consciousness, the next basic challenge for us would be showers. I was hardly surprised to find that hot water wasn’t something that we were going to be getting out of the tap. A large metal tank was being heated up outside. If and when we were ready we just had to fill a large bucket and take it into the bathroom with us. We could mix cold from the tap to make it a more tolerable temperature before tipping it over ourselves. Having spent the best part of two months in the Australian bush without any hot water I was just pleased that this was an option. After half a bucket of hot water I felt I was about as clean as I was ever likely to get. I suspect I’d probably used significantly less water than if a shower had been available. It seemed at this point a little strange to think that people in this country are short on water and somebody thinks its a good idea to use 3,000,000 litres a day on a garden. While on the subject, the water that is in the taps isn’t recommended for drinking. Jagdeep’s family have a water filter in their kitchen. It’s a fairly sizeable piece of kit just to have access to safe water for consuming. 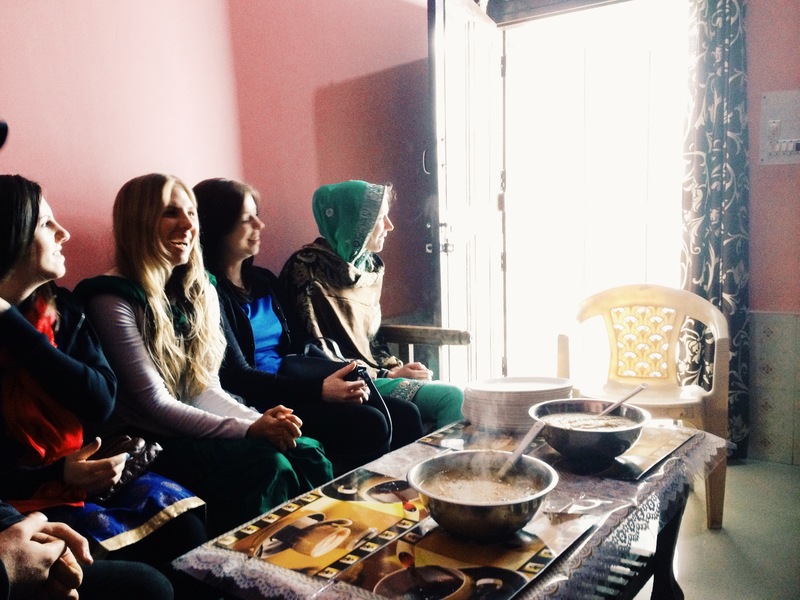 Once freshened up, it was back to Jagdeep’s house for our first Indian breakfast. Curries, chappatis, sweet pastes, all ready to be topped up as soon as the pots and plates began to empty. As a fan of spicy food, Indian cuisine has always been a firm favourite of mine, this was something that I had been looking forward to. I was not disappointed. From conversations, ambling about the place and generally just looking at things it seems that everything is home grown, made from scratch. 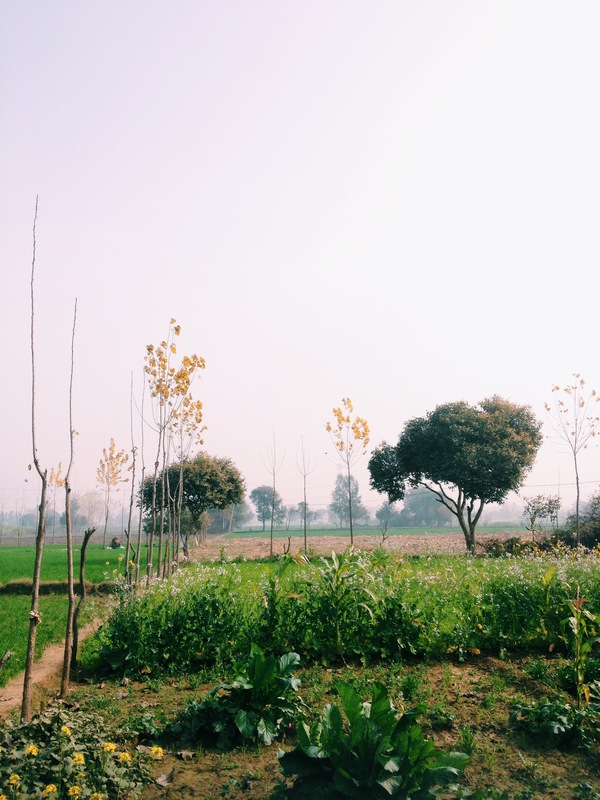 Jagdeep’s house lies amongst fields of crops. Most of it looks like it’s mustard or rapeseed, which is apparently used to feed the animals. There’s also patches of potatoes, carrots, peas and other vegetables for general consumption. Everything we’ve eaten, or are likely to eat while we’re here, is going to have been grown very locally. 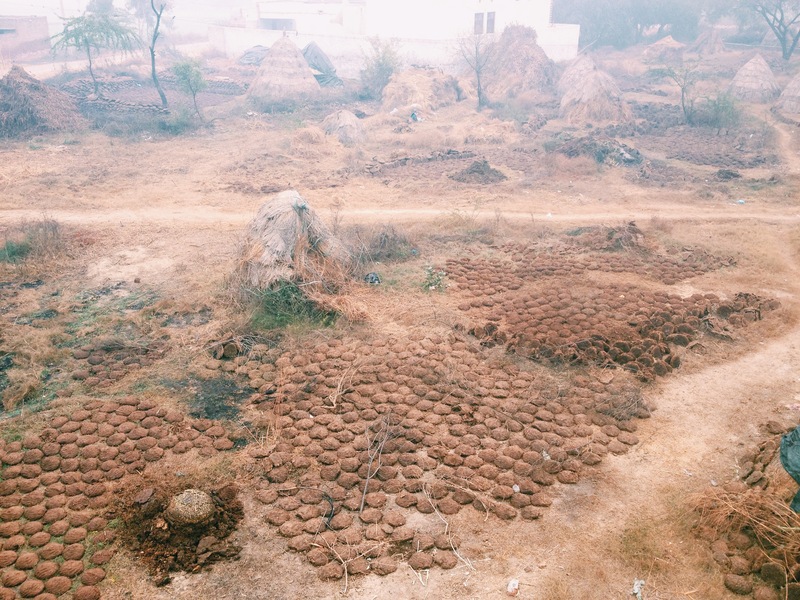 The women have been sitting on the kitchen floor, rolling, kneeding dough, frying it ready for our plates. I’ve had a crack at making flour tortillas on several occasions, they’ve all come out looking like mythical islands so far. I was impressed to watch these perfectly round shapes forming beneath their hands. It’s a little amusing to think that the self-sufficiency that comes so naturally to the people here is a concept that our culture is trying to return to as a way of life. Everyone has a cow, a buffalo, which is milked in the mornings and served in it’s natural state, or as yoghurt or butter. I think it would be worthwhile someone introducing a strong cheddar at the least. If there’s something that is definitely missing from this source of protein, it’s a good cheese! Everyone is very obviously fascinated by us. It’s hard to believe that in 2015 there are people in the world who have yet to encounter the existence of those with a different skin colour first hand. People wander in to the room we’re set up in, while we’re getting changed, still sleeping, whenever. Privacy is going to be hard to come by. I think we’ve been lucky to have found locks on the bathroom doors, otherwise it’s more than possible that we’d have found a crowd of curious onlookers watching exactly what we get up to in there as well. It’s a clear indication of how isolated the village is. Do a quick Google search, that’ll tell you exactly what is up in Sisana. It is without a doubt the furthest I’ve ever been from the beaten track. Even camping alone in the Australian bush came with it’s regular supply of other working holiday visa holders on their way to completing their regional work. At times it feels like we’ve stepped into a time portal, travelling back to the medieval period. I have genuinely seen people passing by on horse or buffalo drawn carts. I’ve realised the reason that everything smells like cow is not just because everyone has a cow, but every time that cow goes to the toilet, it’s droppings are collected, compacted and set out to dry. Cowpats are a source of fuel. Beyond the back wall of the courtyard of the house we’re staying in is a vacant block of land. Vacant that is, except for the cow poo on every available surface. Despite all that is lacking, everyone has a mobile or a tablet of some kind which I guess goes a long way towards showing what people attribute value to. Cars and motorbikes are more common than carts. The young men are all dressed up in an arguably fashionable way, jeans, vests, sports jackets. A few of the older men have stuck with their traditional ways. However, with the temperatures being cold, everyone casts a shawl over their head and shoulders for warmth. All of the women over a certain age, which might be as young as ten it’s difficult to tell, are wearing brightly coloured saris, dresses and scarves. This gives a pretty solid indication of where things stand in terms of gender equality in these here parts. I don’t really know what the people do here. The men apparently have jobs although most of those I’ve met say they’re retired police officers or teachers. All I’ve seen them do far has been gathered around a shisha pipe in front of the house. They all say hello, asking how we are, if we’re enjoying India so far, which is about as far as their English will get them. 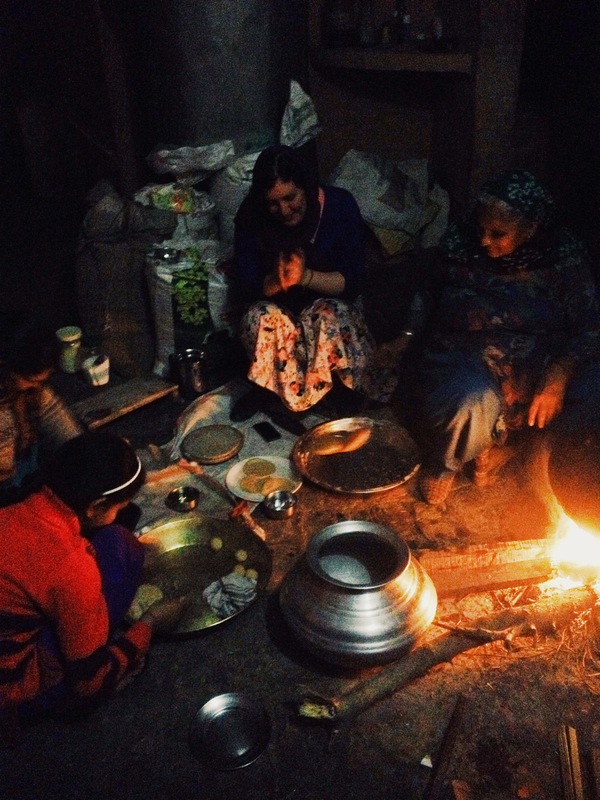 The women have been preparing food; shelling peas, cracking nuts, making the bread, or sleeping. They’re always smiling, singing, presumably excited for the coming wedding. The children are very keen to speak with us, their English has been pretty good even if obviously directly from the classroom. Every time any of us asked “how are you?”, the answer was always “I-am fine”, the rhythm of the words always the same. On the face of it, it seems to make sense. I am good might not necessarily be the best English. Somewhere in this here village is a very proud teacher. The only Hindi that I’ve managed to retain so far has been namaste, which is both hello, goodbye and interchangeable with any other greeting imaginable from what I can tell. I would guess that under usual circumstances everyone would be toiling out in the fields, tending to the crops or animals. Perhaps things are a little different because one of the village’s sons has returned to be married.